A new moon sweeps in your own personal new year, Aries, so happy birthday to you! A full moon in your partnership sector could bring a personal or business relationship to a head. 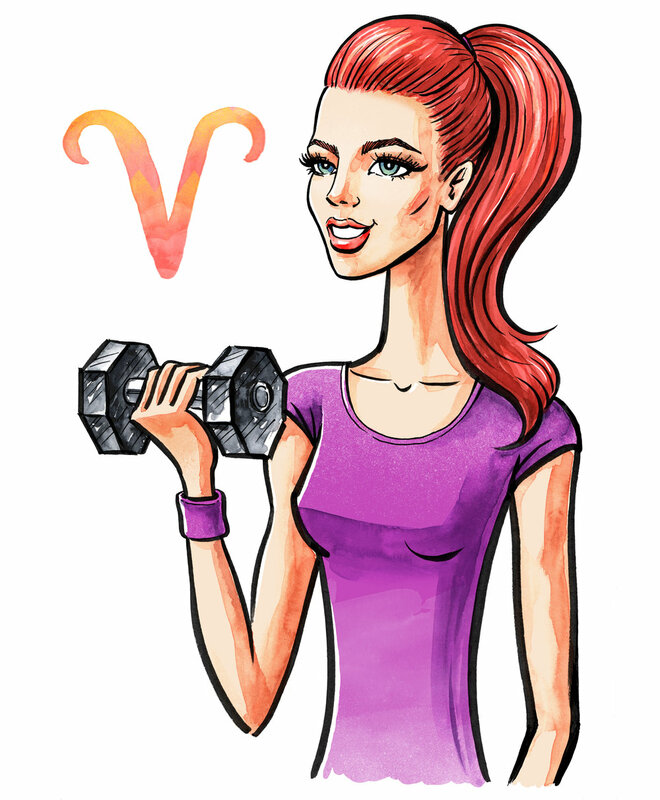 This month marks your own personal new years, Aries, with a new moon in your sign on April 5th. Lucky for you, good luck Jupiter will make a gorgeous trine to the moon from your travel zone, suggesting you could plan or go on a fun vacation this month! It’s also possible that you’re accepted into your dream school, or that you hear good news about an entrepreneurial or legal project. April 14th is a day I absolutely love for all of these things, when the Sun and Jupiter will send each other shining beams! Since the Sun rules your 5th house of love and children, these areas of life might shine for you as well! Unfortunately, the moon will also be angry with Saturn, Pluto, and the South Node in your career house, so it's possible that whatever comes up will be at odds with needs on the job. Perhaps a trip becomes hard to juggle, or a boss comes down on you hard. Challenging days include April 10th, 12th, and 13th, when the Sun in your sign squares Saturn, the Nodes of the moon, and Pluto, respectively, in your career house. Luckily, these same major planets get healing beams from Mercury and Venus in your closure zone, helping to soften any blows and give you some wins at work. Good days include April 7th, 9th, 10th, when Mercury will blow kisses to Saturn, Pluto, and the Nodes of the moon, as well as April 12th, 13th, and 14th, when Venus will do the same! I also really like April 2nd, when Mercury will conjunct Neptune in your closure zone, and April 10th, when Venus will do the same! With Pluto and Saturn in your career zone going retrograde on April 24th and April 30th, it’s possible you’re re-thinking your career choices. The coming months could see you take steps to change jobs or career paths. You might also use the retrograde to come up with solutions for any trouble you’re currently having at the office. April 19th then sees another full moon in your Libra and your 7th house of relationships. If you recall, last month's full moon was also in Libra, although that one was at 0 degrees Libra (the very first degree of the sign! ), while this was one is at 29 degrees Libra (the very last degree!). That means that very late-born Aries will feel this moon the strongest. If you have a planet or point near 29 degrees of Aries, Libra, Capricorn or Cancer, you will feel this strongly as well, in whichever house that planet or point is located in your natal chart. This full moon, once again, will bring a partnership matter to a head. Luckily, Jupiter will reach out happily to the moon, so it’s possible you get some very good news! Perhaps you decide to make a partnership official, maybe even getting married! Unfortunately, the moon will also square Saturn, Pluto, and the South Node in your career zone, so you might feel torn between relationship and job needs. You could also have trouble with a boss, spouse, or authority figure. If a relationship actually breaks up at this time, trust that Jupiter’s trine to your sun is protecting you and guiding you towards brighter lights. The emphasis on commitments this month is further amplified by Mars’ move into your communication sector of Gemini on March 31st for 6 weeks. You might also find there to be more contracts, sibling time, vehicular matters, and writing projects in your life at this time. Communication matters will be an even bigger theme in June, with the new moon in Gemini and your 3rd house.